FBX Adventures - (In Parenting): 6 Months Old! Happy 1/2 Birthday Bug! I can NOT believe that Bug is 6 months old. Part of me is relieved. 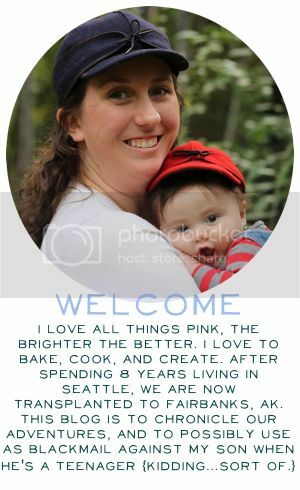 My next door neighbor in Seattle told me about the 4th trimester. She was right. The three months after he was born were hard, but so worth it. Bug was on a kick for a long time of sleeping for 2 hour stretches, and waking up constantly. I think he was 5 months before he slept all night (actually, he was 5 months exactly.) He went from getting up every 2 hours to just getting up once. It's GLORIOUS! Now, at 6 months old he sleeps through the night, and goes right back down in the AM for another nap. This means he gets around 12 hours of sleep. Which means that I'm sleeping. Which is amazing. Yes, yes....I know that teeth are coming. Just give me this okay? It's been a month and it's WONDERFUL. Bug has his 6 month appointment today. I'm excited to see how tall he is and all his percentiles. He's always been a big guy! Happy Birthday buddy. We love you more then you will ever know. So cute! Love the last picture. Those t-shirts are wonderful! It's fun to see their progress. They are great! I had a hard time finding them and by the time I did, he was about a week overdue. I LOVELOVELOVE the onesies!!! What a fantastic idea. They are going on the top of my list for a gift next time someone I know has a baby shower!